KITS TOWNHOUSE at Maple and York. This 2 bdrm, 1 1/2 bath has been tastefully updated w/ newer kitchen, hardwood floors in the living room, granite countertops. Wood burning fireplace, 2 level living w/ skylight and sliding glass doors offliving room and master bedroom to balconies. Peace of mind - FULLY rainscreened (2010) with 10 yr warranty! 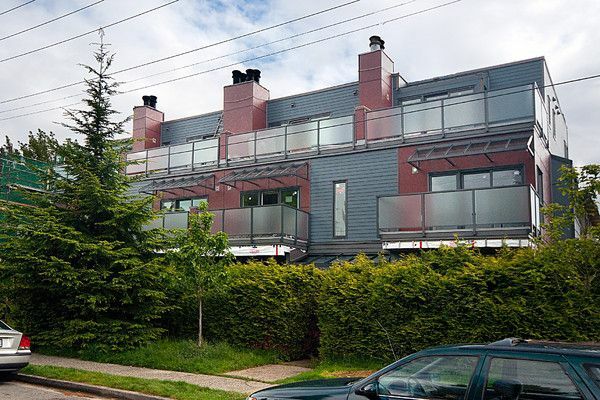 Fantastic location - walk to Kits Beach, Granville Island and West 4th! Move in now and take advantage of summer in your new Kits home!